Drs. Margaret and John McBride. Akron Children’s was doubly fortunate when the husband-and-wife team of John and Margaret McBride joined its medical staff in 1999, and now it’s a double loss to see them retire. The hospital, and especially its patients, have benefited immeasurably from their tenure. The McBrides, both 68, were content with their careers at Strong Memorial Hospital in Rochester, New York, when they received a call from a former colleague asking them to come to Akron on a recruiting visit. They had dinner with President and CEO Bill Considine and were impressed with the hospital’s mission and focus on pediatrics as an independent children’s hospital. With their 2 daughters grown, they decided it was a good time for new challenges. Dr. Margaret McBride teamed up with Dr. Tom Enlow to begin Akron Children’s in-house pediatric neurology program. Dr. John McBride joined Dr. Greg Omlor to expand the hospital’s pediatric pulmonology program. 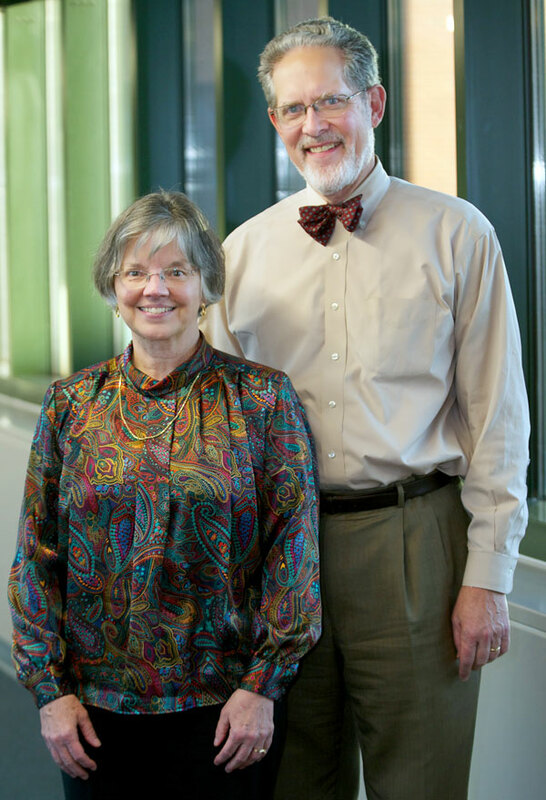 Over the 4 decades they’ve practiced medicine, the McBrides have seen significant changes in their specialties. When Margaret became interested in child neurology, it was a relatively new field and CT and MRI scans were not yet invented. John remembers in his early career when there were few medications for children with asthma, the life expectancy of children with cystic fibrosis was less than 20 years, and few children with respiratory problems were intubated. Pediatric intensive care units were just being created. Four decades have brought about much better understanding of asthma, and CF patients now thrive into their 30s and beyond. 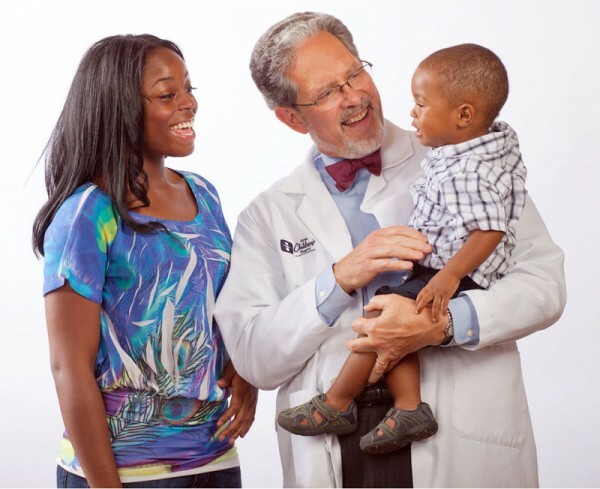 Dr. John McBride worked closely with Martez Moorer, and his mom Ceasha, to bring the toddler’s severe asthma under control. John and Margaret met during their first week at Case Western Reserve University Medical School, were engaged within 4 months after their first date, and married before their second year. Upon graduation, they completed their pediatrics residency in Rochester. Before continuing with their training in Boston, they spent 3 years practicing medicine in rural South Carolina as part of the National Health Service Corp. They did home visits and treated many people who had never before been seen by a doctor. Seeing the trust these patients put in them left a profound impression and forever shaped their approach to medicine. While Margaret takes great pride in growing her division and leading it through significant changes, such as the creation of the NeuroDevelopmental Science Center in 2004, she considers herself first and foremost a clinician. Dr. Enlow said patients respond to her compassion. 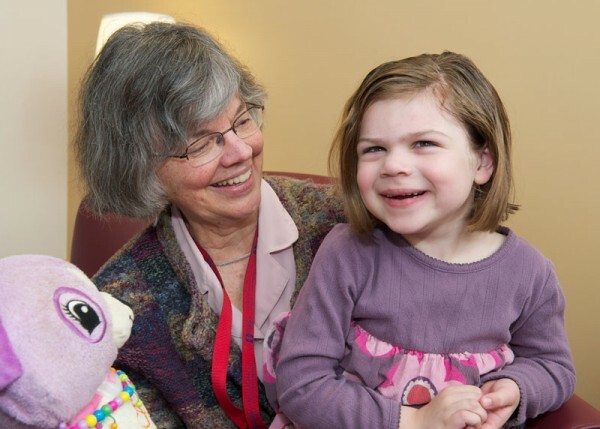 Dr. Margaret McBride gets a smile from long-time patient Claire Franz. In addition to his great rapport with patient families, John will be remembered for mentoring young physicians and his advocacy of quality initiatives in medical practice. “I think we, as doctors, have always tried to do the right thing but now we see the need for a more systematic approach – working together, following guidelines and standardizing care. For doctors and nurses, guidelines are a good thing,” he said. In addition to his clinical duties, John agreed to serve as interim chair of Pediatrics from 2006 to 2009. This evolved into his current role as associate chair of the department. During these last few years, he gained international recognition for an academic paper he authored noting the relationship between acetaminophen use and increased incidence of asthma. As scientific evidence continued to build, he felt a moral obligation to warn not only his own patient families but all parents about a health risk that could be easily avoided. The McBrides are looking forward to spending more time with their daughters, Laura and Lindy, and their grandchildren, spending time at a family tree farm in Vermont and traveling. They have already visited almost every corner of the world, but still have places left on their bucket lists. And they won’t be saying good-bye entirely to medicine. They each plan to spend a few days a month seeing patients – a habit that’s hard to break after 43 years.